Cigarette paper is the envelope wrapping the tobacco. It is a special paper grade for an industrial production and for hand cigarette rolling. The five-year forecast for the cigarette paper market suffers a negative Compound Annual Growth Rate (CAGR) of -0.3% percent owing to decreased demand from the cigarette segment, according to a new report published by Gen Consulting Company. The report covers forecast and analysis for the cigarette paper market on a global and regional level. The study provides historic data of 2012-2016 along with a forecast from 2017 to 2022 based on both output/volume and revenue. The study then describes the drivers and restraints for the cigarette paper market along with the impact they have on the demand over the forecast period. Additionally, the report includes the study of opportunities available in the cigarette paper market on a global level. The report has been prepared based on the synthesis, analysis, and interpretation of information about the global cigarette paper market collected from specialized sources. The competitive landscape section of the report provides a clear insight into the market share analysis of key industry players. Company overview, financial overview, product portfolio, new project launched, recent development analysis are the parameters included in the profile. Relevantly, the report and company profiles specify the key drivers that are impacting the demand in global cigarette paper market.  What are the key factors driving the global cigarette paper market? Who are the key players in the cigarette paper market?